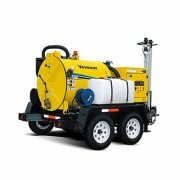 Our Hydro Vacuum Excavators are powerful, portable and versatile excavation systems that offer municipalities and contractors a lower cost, portable system for potholing and vacuum applications. Our excavators come equipped with powerful Kubota diesel engines featuring electric start and throttle. 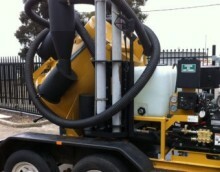 Wet or dry remediation of spoil is possible using the three-stage filtration process that includes a 2-micron washable filter. One-man operation can be attained by using the reduction tools and hose extensions.